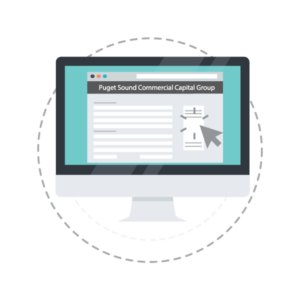 No matter what type of business you are in, Puget Sound Commercial Capital Group has the financing options you need. When you’re in the market for new equipment, turn to us for equipment leasing. Our options are generally for companies that have been in business for two years or more, and come at affordable payback rates. With easy approval and a quick process, you could acquire the proper equipment quickly. Municipal and Government – This type of program is for government and municipal entities such as public schools, libraries, and fire stations. These businesses are guaranteed approval and could have their funding in as little as one day. Sell and Lease Back – One of our most popular options for financing equipment is our sell and lease back program. This allows your company to keep the equipment you currently have, but transfer the ownership to us. You will then pay us low monthly payments for the equipment you already work with on a daily basis. B, C, and D Credit – These programs are for companies that have suffered hardships during a fall in the economy. We offer these programs in order to give our clients a second chance in business. Startup Programs – Starting a company is tough without proper funding. Purchasing equipment is often on the back burner. With our funding options, it doesn’t have to be. We put our faith in your company and allow you the funds you need to get your business up and running with the proper equipment. Find out more today when you contact Puget Sound Commercial Capital Group. We are waiting to help you get the equipment you need to maintain success in your business.